The Best in Windows VPS! Easy to Use. Our Best-in-Class Remote Desktop is Ideal for VPN’s, Web Hosting, Game Servers, & Much More! ChicagoVPS offers best-in-class Windows VPS with remote desktop at an affordable price without having to sacrifice the power and reliablity you demand. Our plans include Windows Server 2008, Windows Server 2012, and Windows Server 2016, as well as DDoS Protection of up to 20 Gbps. What can I do with a Windows VPS? Anything you can do with a windows server or desktop! Install any application you would normally with your Windows PC or Server and it will work just like normal. You recieve remote desktop (RDP) access to the server in order to connect to it. It will look just like the desktop you are used to when you connect. How do I connect to my Windows VPS? 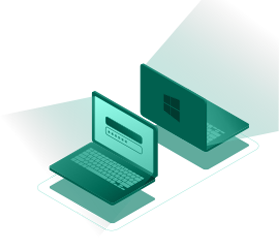 You can use remote desktop services in order to connect to your Windows VPS. Are these Windows VPS fully licensed? Yes, they come with a full license.